Everyone, of course, is looking for the best site for betting on eSports. However, choosing the right site can be a daunting task, especially when faced with hundreds of betting sites, each with different bonuses, terms and conditions, different deposit methods, different types and even quality of customer support. Even the design of the site itself can make a huge difference. Of course, which eSports are offered by different bookies makes a huge difference as well. 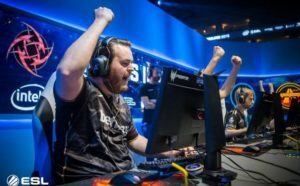 Luckily, we have been reviewing all the different betting sites that offer eSports, and have a few tips for you, as well as a list of the different games each bookie offers. We hope that after reading this article, you will be able to choose the best site for betting on eSports. On which games do you want to bet? When choosing a betting site for eSports, it is of course important to remember that not all bookmakers offer bets on all games. The most common games to bet on are Dota 2, LoL, CS:GO, Starcraft 2 and Overwatch. However, many bookies offer bets on games like Hearthstone, Overwatch, Heroes of the Storm, Star craft: brood war, Street Fighter, Mortal Kombat, and King of glory to name a few, as well. We have compiled a list of bookies with the games each of them offers below. Do you want an eSports only betting site or a bookmaker with more? 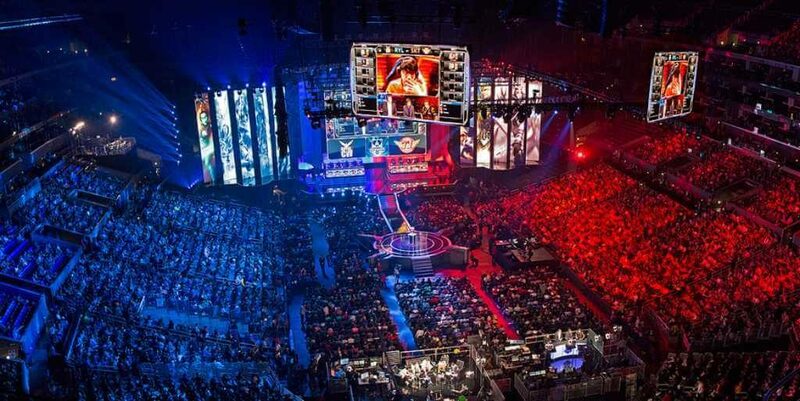 One way we see that eSports is becoming accepted as a legitimate, professional sport is the fact that big name bookies have now begun offering odds on various eSports. Of course, there are some bookmakers that only offer eSports betting, and these usually offer a wider range of eSports, than the standard Dota 2, LoL, and CS: GO, Starcraft 2 and Overwatch. Which site you should choose also depends on whether you are interested in other types of betting as well. While smaller, niche eSports betting sites will offer you a wider array of games to bet on, larger sites will offer you a whole host of other types of bets. Many betting sites will offer sports betting, poker, and even online casino in combination with eSports betting. So choose wisely, depending on what type of games you want to bet on besides eSports. How do you want to deposit? This is an important question, since not all bookmakers have all payment methods. Most, if not all bookies accept Visa and MasterCard, as well as bank transfers, which are of course a bit slower. If you want a faster option, consider using e-wallets like Skrill, Neteller, or even PayPal (though not many bookies offer PayPal). These E-wallets do hit you with fees that are often a bit higher than the fees you might encounter using your credit card, so bear that in mind. If you use services like Instapay, or Trustly, you will find plenty of betting sites that accept those as well. If you want to bet using Crypto on the other hand, you might have to do a more extensive search. Most licenced gambling sites only offer bets in international currencies like Pounds Sterling, Euros and Dollars. However, if you really want to bet using your Bitcoins or other Crypto, you will just have to search a bit harder. Another option to gamble on eSports with Bitcoins is to open a Neteller account. With your Neteller account, you can deposit from Bitcoin straight to your preferred currency, then, you can use your account on almost any betting site. Customer support can be very important when choosing a bookie. Every now and then, bank transfers are a bit slower than expected, or bets are not paid out correctly. Now this is of course a relatively rare occurrence, but if you consider if that just .1% of payments are delayed due to a computer error, or even a human error, on a huge betting site with thousands of matches, each with hundreds of betting options, plus hundreds of thousands of eager players, this will still count towards a mountain of work for the customer service team. Therefore, we think it is best to choose a site that has a good reputation when it comes to customer support. Do you want customer support available 24/7? Not only the quality of the customer support matters, the times it is available can matter too. Many international eSports events are held in various time zones, and do not fit in to normal, nine to five working hours. While many bookies offer customer support 24/7, not all do. If you planning to bet on matches that are going on during the night, you might want to make sure that the live chat is always available, just in case you need assistance. Overall, most of the betting sites we have listed have a very good response time and have an excellent reputation when it comes to solving issues. What bonus do you prefer? Ah, bonuses… some people love them, some people hate them. Getting a bonus can be tonnes of fun, while collecting winnings from a bonus can be a challenge. Usually a bonus will come with your first deposit, though some sites will give you a bonus for your first four deposits. In addition, there are of course many bookies offering various types of bonuses. When betting on sports or eSports, most bonuses will either come in the form of free bets, or deposit bonuses. Free bets are usually relatively small bets (£10 – £30), that you can place on any wager you want, usually with certain minimum odds. These small free bets usually have relatively low wagering requirements. Deposit bonuses, on the other hand, can be quite substantial, usually in figures of 100% of your deposit, up to a certain amount. These often, due to their size, usually have higher wagering requirements. Therefore, you will have to be very clever in order to collect winnings from them. Choose a site wisely; make sure it has the games you want to bet on, as well as any other markets, such as sports, casino or poker, that interest you. Make sure you choose a safe, licenced casino (all the ones we review luckily are safe and licenced…). Make sure the casino has a good customer support and look out for a good bonus as a cherry on the cake. Enjoy playing and don’t bet more than you can afford to lose! We think TonyBet checks most of these boxes. Check them out on the link below.